Is design and quality important to you – so important that you’d rather not compromise on it when it comes to your baby’s pram? Then the Egg Stroller reversible seat was made for you. This stroller is the perfect fusion of design and functionality. 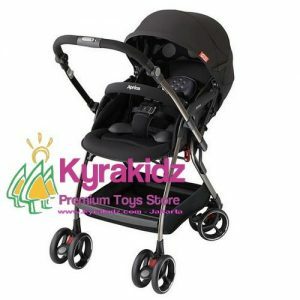 Especially striking are the stroller’s round shapes, which beam with dynamics and elegance. The Egg Stroller reversible seat has a beautiful frame for its seat. The seat attaches facing both forwards and backwards, so you will always be able to meet your child’s needs in this area, no matter what their age. At first, you can maintain the all-important eye contact that creates the bond between parent and baby. Later on, your child will want to sit facing forwards so they can observe the world around them a little more. The frame itself has four “Tru-Ride Technology” wheels made from puncture-proof PU tyres. The front wheels turn a full 360 degrees for optimal manoeuvrability. These are also impressively stylish in shape. 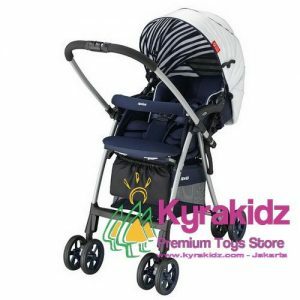 The designers of the Egg stroller reversible seat have thought of everything, which is evident in the design of its shopping basket: this can be accessed from the back as well as the front. The Egg stroller reversible seat is a visual highlight and gives the exact level of comfort you want for your child: the seat is roomy, and comfortably padded. The backrest adjusts into three different positions. The padded, height-adjustable belt ensures the necessary safety, and this is enhanced by the front safety bar. The seat’s hood keeps wind and rain at bay, allowing your child to feel safe and protected. As well as boasting an outstanding design, the Egg Stroller reversible seat is incredibly versatile. It can be combined with optional modules to create a baby’s pram, a travel system, and even a twin pram.